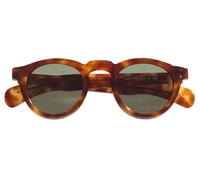 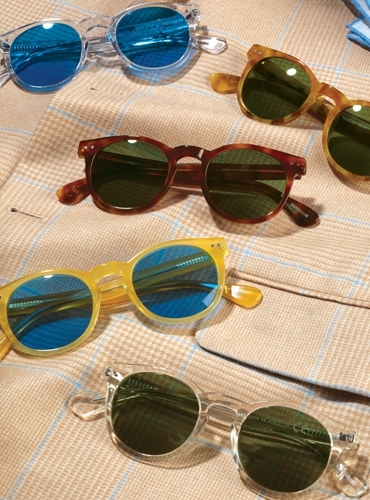 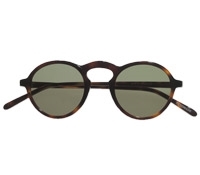 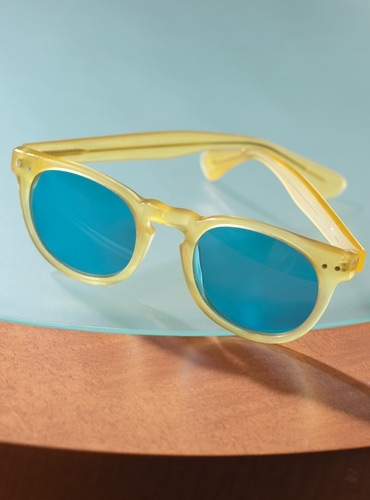 Semi-round 47 mm UV protected sunglasses from Italy are a return to mid-century classics in contemporary colors. 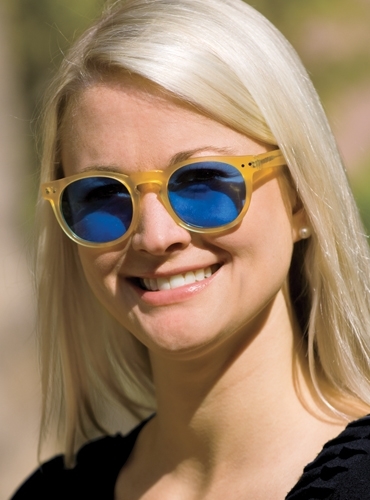 The combination of a 23 mm keyhole bridge and larger lenses provide coverage against the sun; while the colors assure fun in the sun! 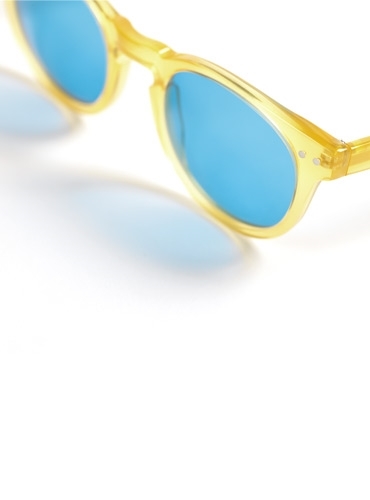 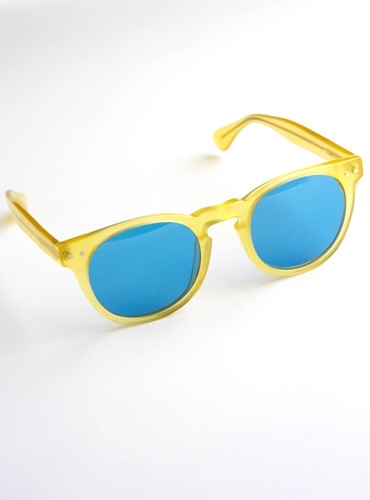 Shown in yellow with blue lenses. 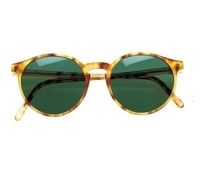 Also available: B-clear with blue lenses; C-honey tortoise with green lenses; D-champagne with green lenses; E-amber with green lenses.